The ever-present challenge for leaders is how to get more done with less time, money and stress. 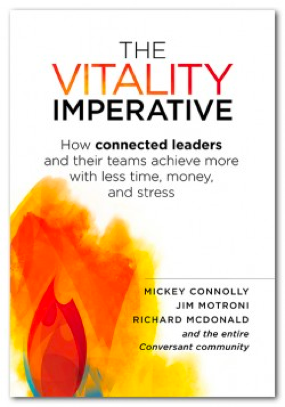 The Vitality Imperative answers that question and gives leaders a reliable roadmap for how to create and sustain a humane and lasting approach to the thorniest of challenges and opportunities in a modern organization. Speed is a double-edged sword that both scares and exhilarates business leaders in their efforts to get products to market faster, seize new opportunities before the competition, or increase productivity. But by doing the wrong things fast, waste is all that is accelerated and value is sacrificed. 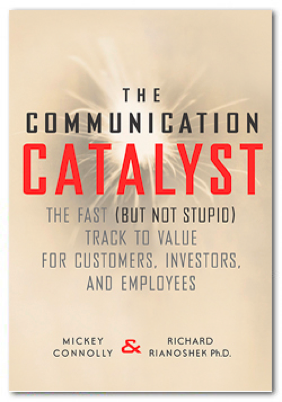 Historically, flawed human interactions have plagued most efforts to accelerate business success. How effective conversations benefit such measurable areas as recruiting, retention, time-to-market, customer loyalty, and shareholder value.